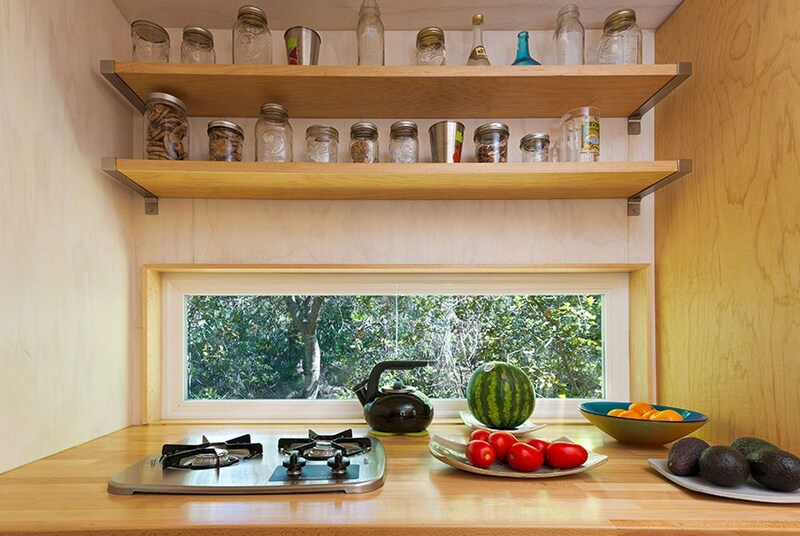 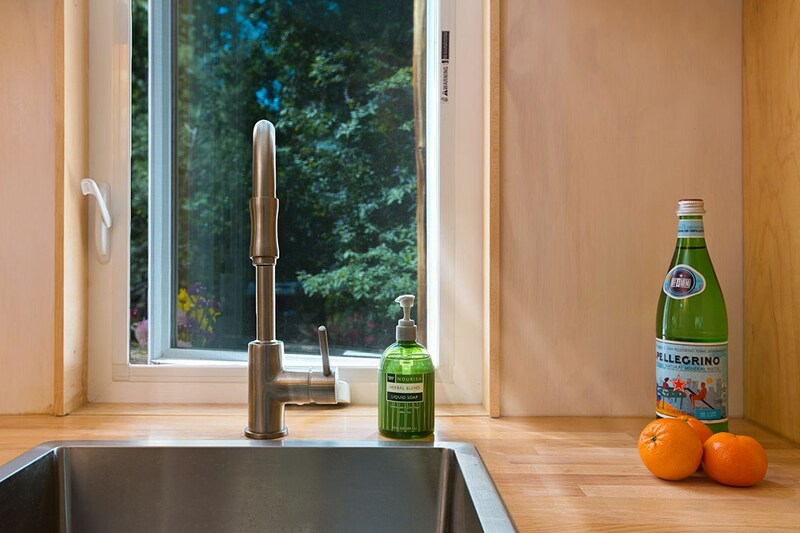 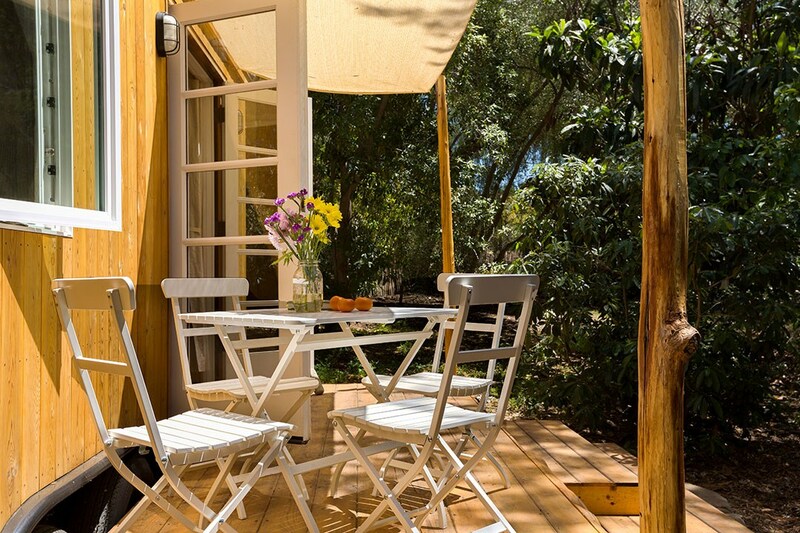 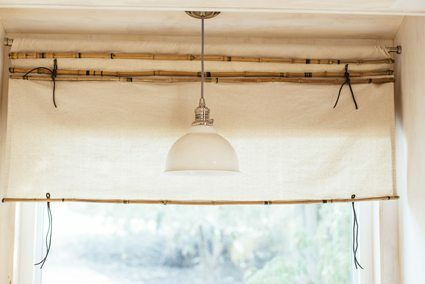 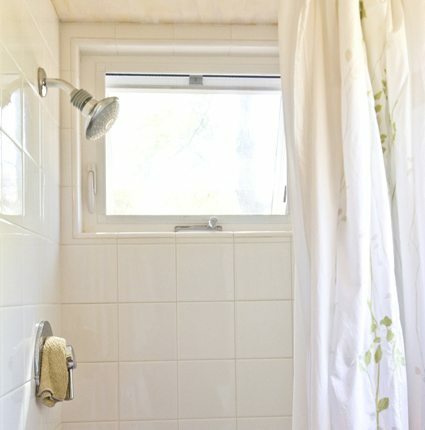 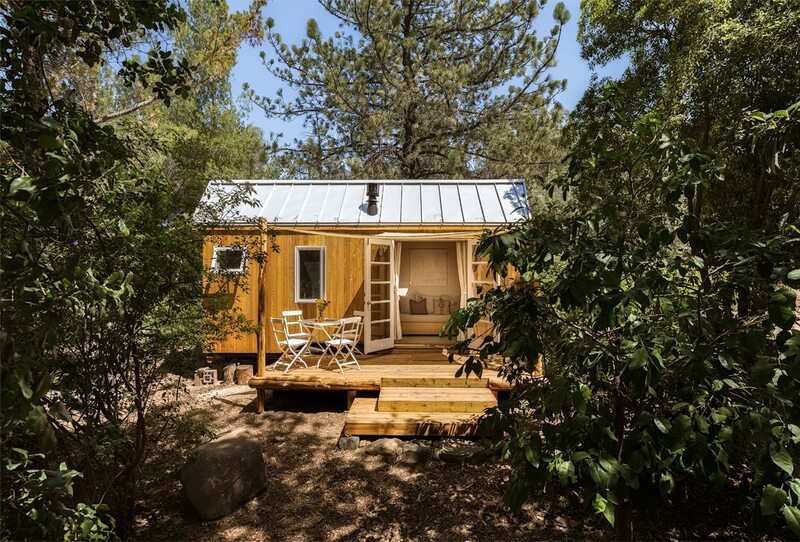 The Sol Haus is a classic beauty, full of light, with a focus on simplicity and sustainability. 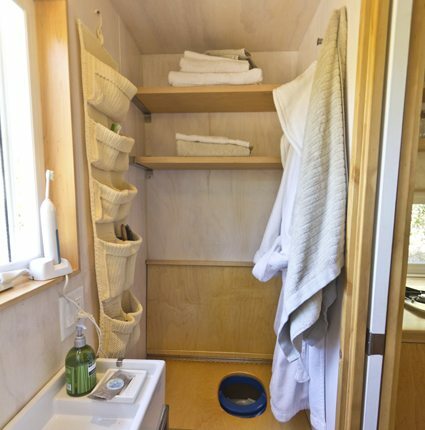 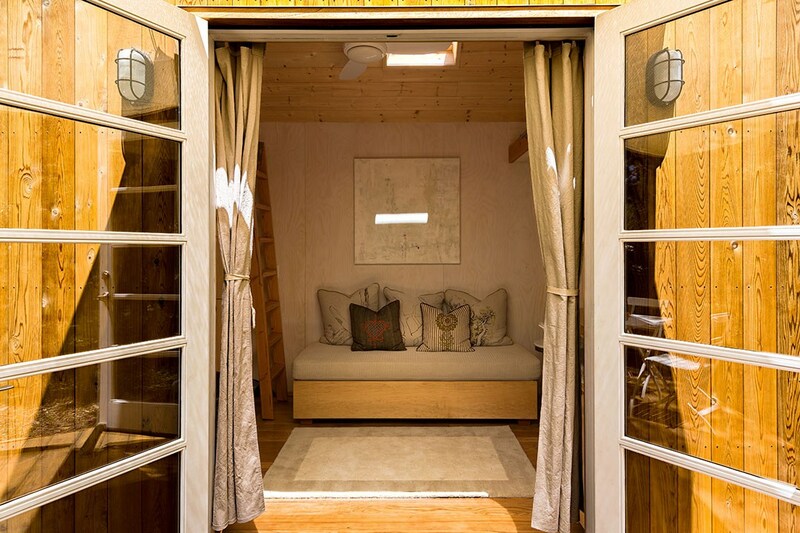 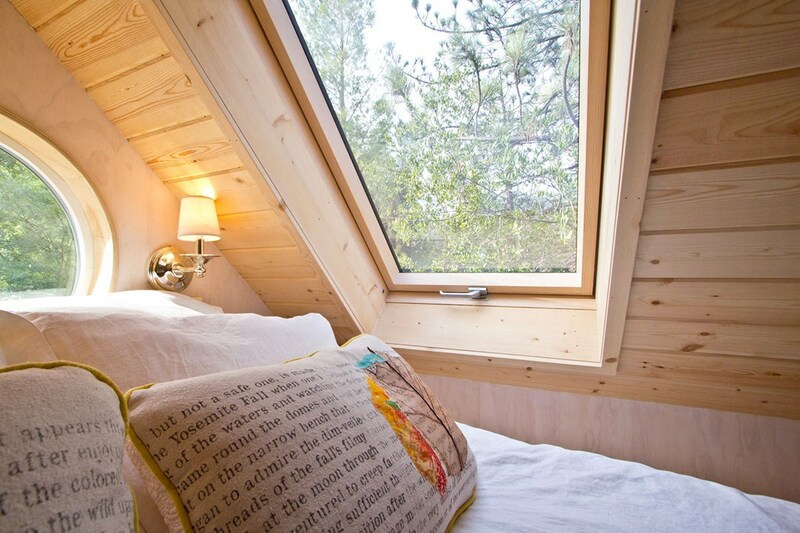 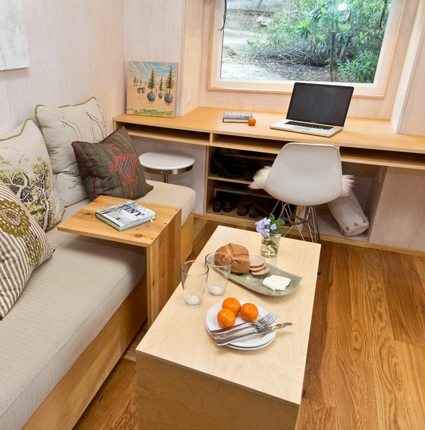 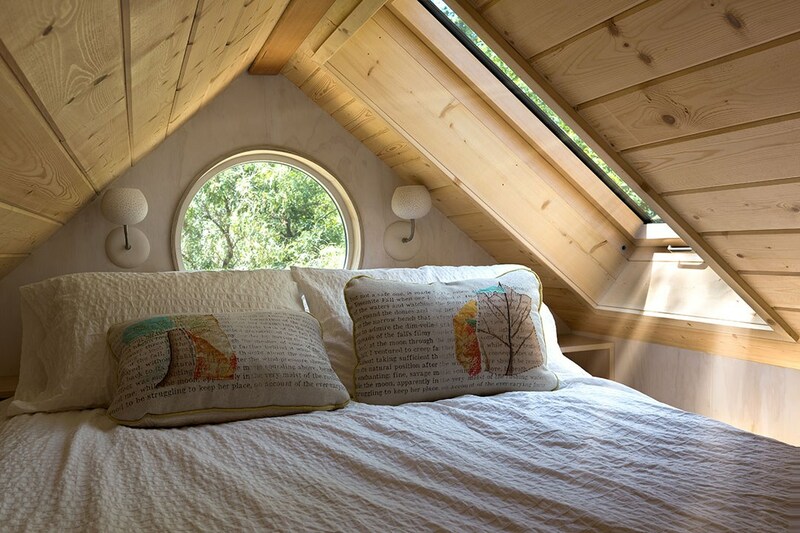 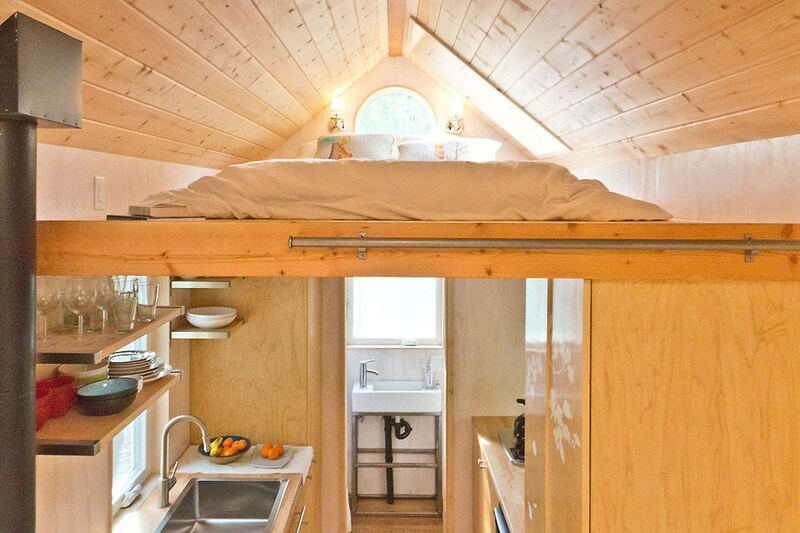 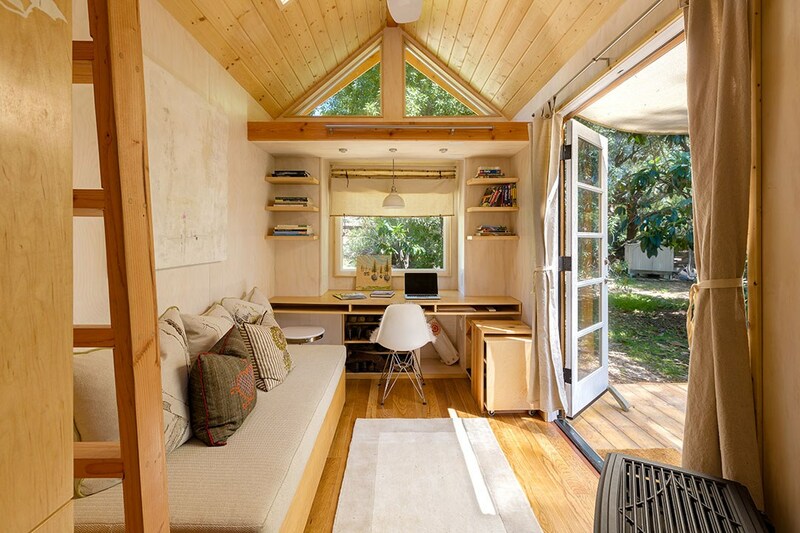 This timeless tiny house is a perfect long term home for a single person or couple. 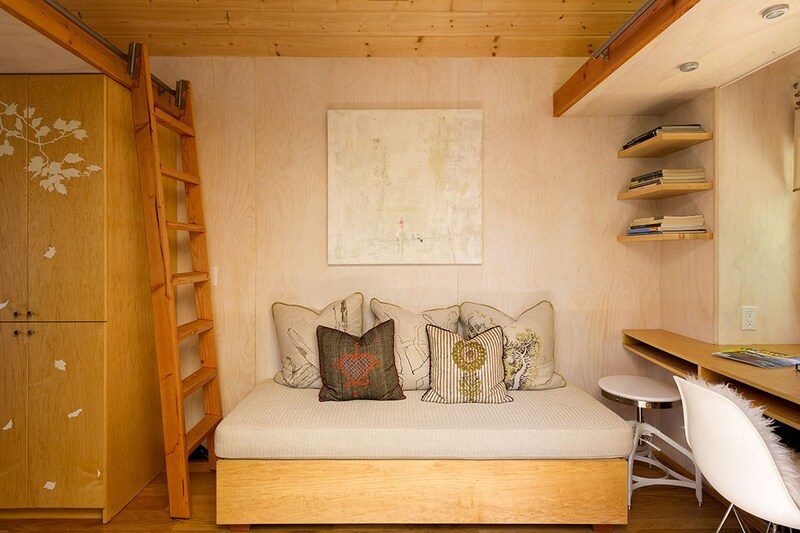 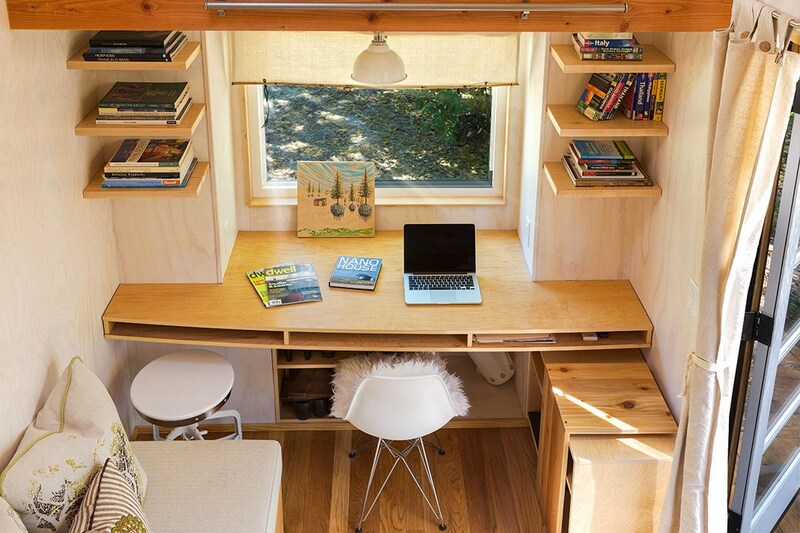 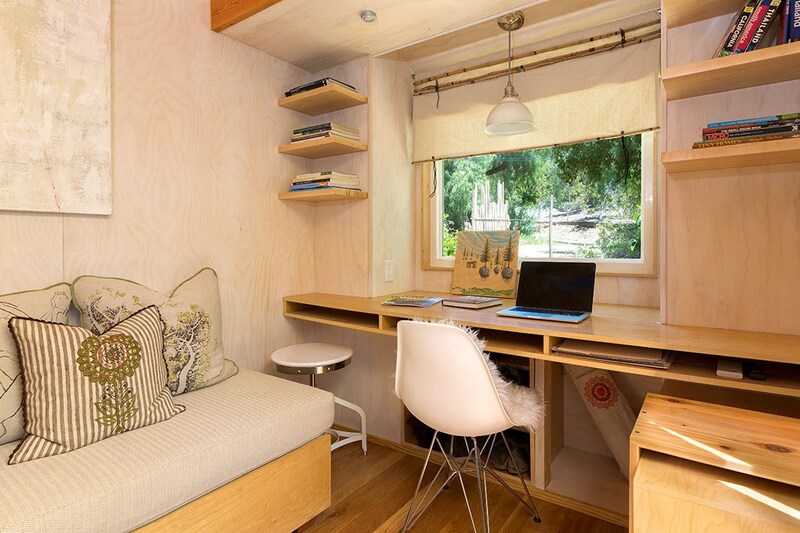 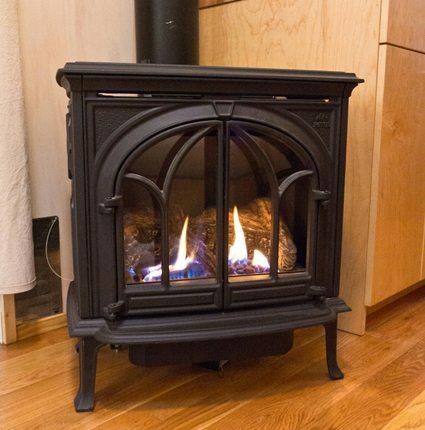 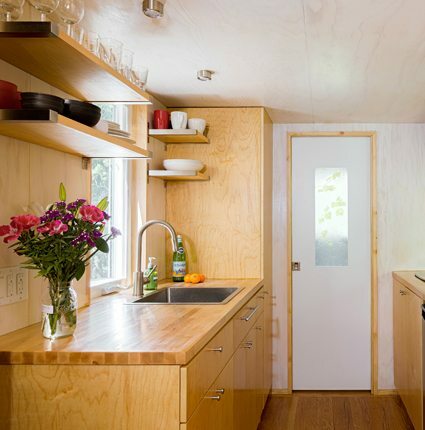 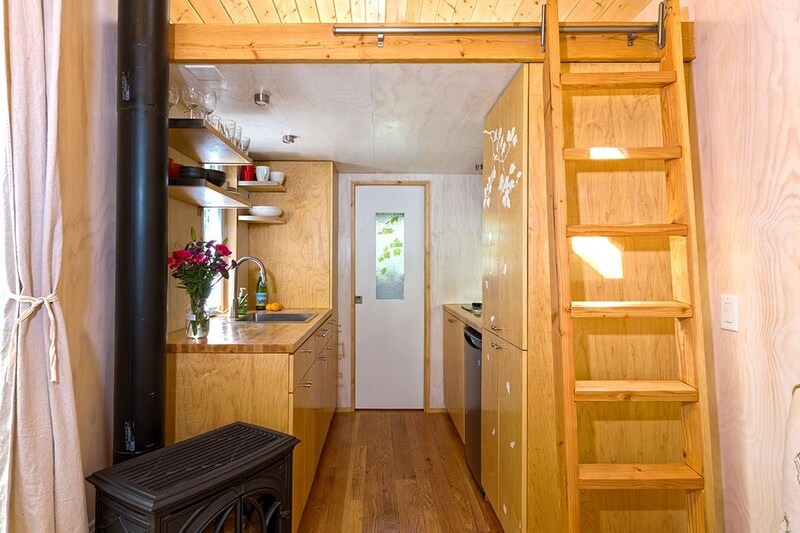 It boasts a comfortable 140sf of living space and is built atop a 8′ 6″ x 20’ 0″ trailer chassis. 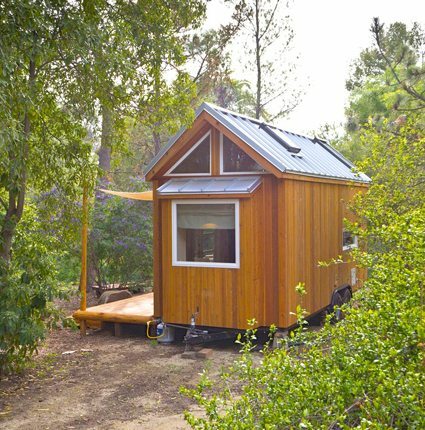 It has served as Vina’s home for many years now. 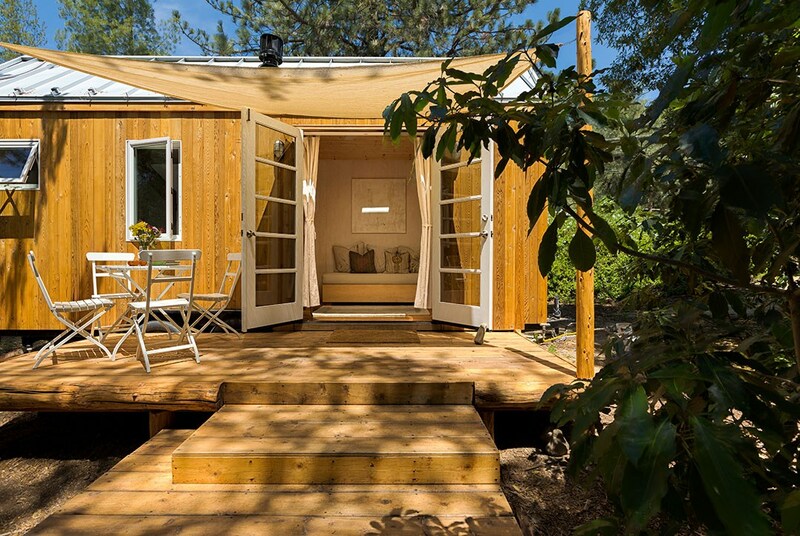 The Sol Haus is designed for off-grid capabilities; solar panels and passive heating/ cooling techniques have already been incorporated into the design. 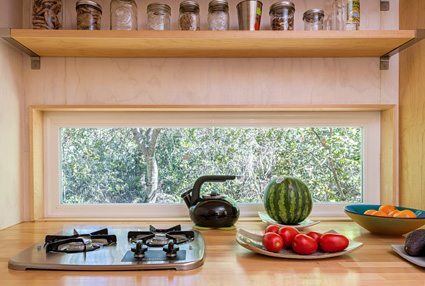 The interior includes non-toxic, healthy finishes as well and thus makes this a perfect home for those that desire a life with minimal impact on the planet. 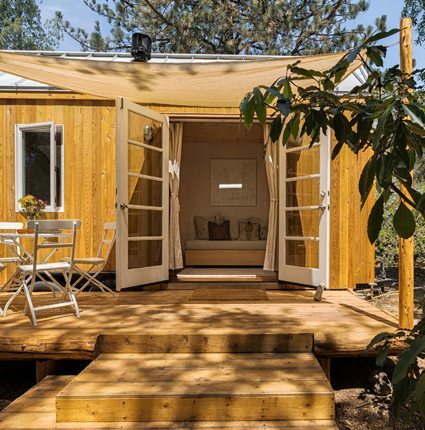 The Sol Haus would make a beautiful primary residence, ADU on a small city lot, and/or an AirBnB style rental. 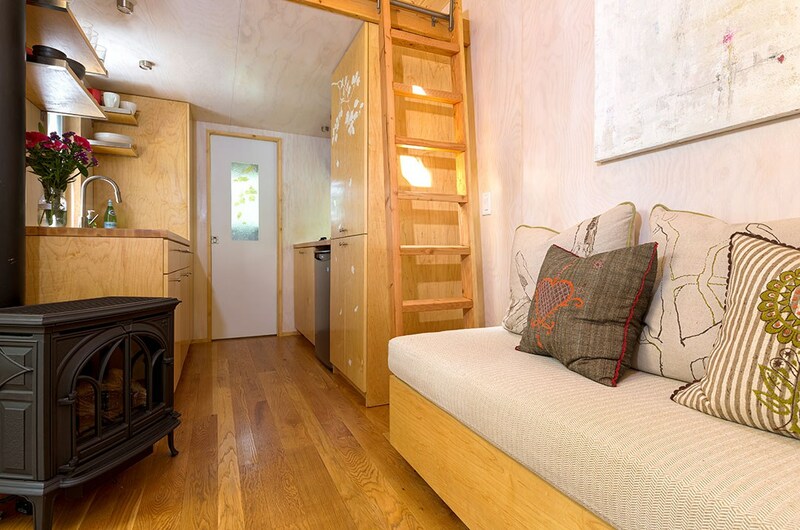 See PHOTOS & SPECS & CONSTRUCTION. 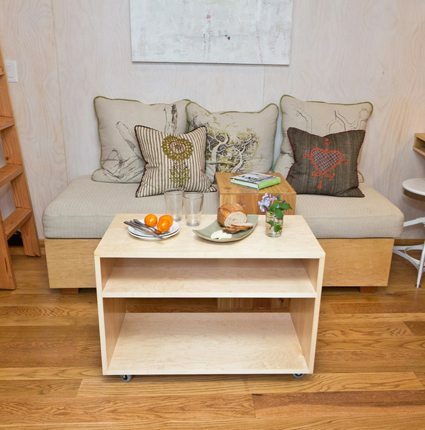 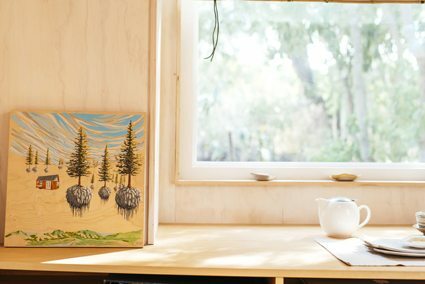 A set of plans for Sol Haus is available so you can build your own bright and beautiful tiny home. 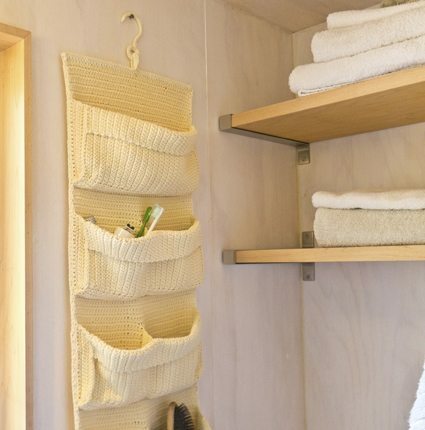 Purchase design plans here.